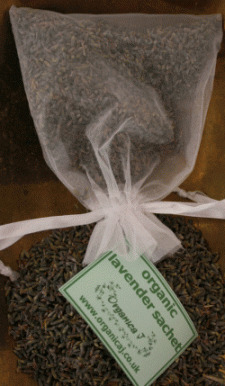 A sachet containing organic lavender heads infused with a wonderful french lavender (lavandula angustifolia) essential oil. Ideal for drawer or cupboard fragrancing. Also lovely for under the pillow or beside the bed to aid sleep. An ideal gift.